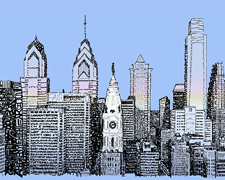 As DNC visitors descend upon Philadelphia, Robin Bloom offers suggestions for what to do this week and where to go to escape! PoliticalFest 2016 is a one of a kind festival celebrating political history, government, and the election season, presented by the Philadelphia 2016 Host Committee for the Democratic National Convention, July 22-27. Activities take place at seven participating locations including the Pennsylvania Convention Center, Library of Company of Philadelphia, Philadelphia History Museum, Heritage Center of the Union League of Philadelphia, National Liberty Museum, Historical Society of Pennsylvania and the National Constitution Center (hub). 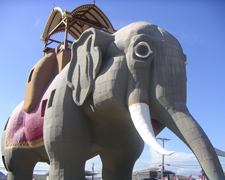 Each location features different displays and attractions including nonpartisan exhibits for all ages, a media zone, political entertainment, games, panel discussions, and live performances. A PHILLY PHLASH bus loop connects all seven locations. Philly Word Art’s Daniel Duffy (pictured) will create a “live” piece of art with audience participation between 10am-2pm daily at the Pennsylvania Convention Center. Check out Philly Feast food truck festival, Monday July 25, 11am-3pm. See a replica of the Air Force One fuselage used by Presidents Kennedy through Reagan. Visit the Broad Street Arts Activation project from Arch Street to Washington Avenue. Convention week concludes with Make Art Philly, Wednesday, July 27, 10am-2pm, a day of art-making and crafting around the theme of voting in City Hall’s courtyard. Presidential Archives: Letters, Hair, and Fossils, a special exhibit on view at the Academy of Natural Sciences of Drexel University through July 29 for the Democratic National Convention, features items from the collection of Philadelphian Peter Arrell Browne (1762-1860). See the locks of five presidents (ringlets from George Washington to Martin Van Buren! 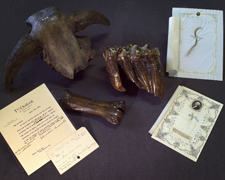 ), a letter from Theodore Roosevelt and rare fossils that belonged to Thomas Jefferson, 1900 Benjamin Franklin Parkway, Philadelphia. Photo courtesy of the Academy of Natural Sciences of Drexel University. A new world premiere play, Roseburg, asks why are we still arguing about gun control and when will the killings stop? 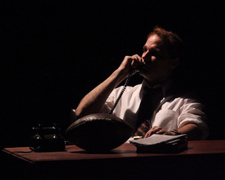 New City Stage Company presents a workshop production featuring Russ Widdall reprising his award-winning performance as Senator Robert F. Kennedy. Conceived by Ginger Dayle and devised by the Voices for a New City Ensemble through July 31 at The Adrienne Theatre Second Stage, 2030 Sansom Street, Philadelphia. Photo courtesy of New City Stage Company. The National Museum of American Jewish History (pictured) welcomes the DNC with a special display including two original foundational documents by George Washington on view together for the first time: the 1790 letter to the Hebrew Congregation of Newport, Rhode Island proclaiming that “the government gives to bigotry no sanction, to persecution no assistance,” underscoring the new nation’s commitment to religious liberty and equality for people of all faiths. Also on view is Washington’s Thanksgiving Proclamation, 1789. 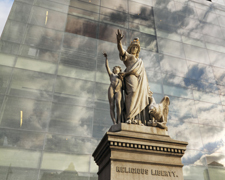 Two topical self-guided themed tours will be offered, 101 South Independence Mall East, Philadelphia. Free admission offered for DNC volunteers and two for one admission for DNC attendees.Take a “politically enhanced” Taste of Philly food walking tour and find out the history and culture of Reading Terminal Market and Philly food specialties like cheese steaks, hoagies and pretzels. Get small tastings of signature foods and presidential favorites.Center City District offers four politically-themed movies with Political Moviefest at Dilworth Park. Viewers chose from a slate of 12 movies and the selections, shown at dusk beginning Wednesday, July 20 through Saturday, July 23, include All the President’s Men, Selma, The American President, and The Manchurian Candidate. 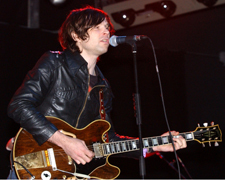 The XPoNential Music Festival is July 22-24, featuring a lineup of established and up-and-coming artists, including Ryan Adams (pictured), Kurt Vile and The Violators, Alabama Shakes, Gary Clark, Jr., Brandi Carlile, Old Crow Medicine Show, Femi Kuti and the Positive Force, and more along the Camden waterfront at Wiggins Park and on the Main Stage at BB&T Pavilion (formerly Susquehanna Bank Center). In addition to continuous music, the family-friendly festival offers food and craft vendors along with the Kids Corner area in the Children’s Garden. Photo by Samir Hussein/Getty Images. Touted by the Huffington Post as the “emerging Sundance East,” the New Hope Film Festival has selected 106 films out of a record 591 entries from 11 countries, including the USA, UK, Canada, Italy, Australia, Turkey, India, Switzerland, Ukraine, Kuwait and Brazil, July 22-31. Filmmakers will be in attendance with Q&A sessions offered following films. 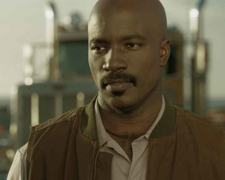 Opening night film is “America is Still the Place” (pictured), written and directed by Patrick Gilles. Special events include a Lifetime Achievement Award presentation to Dan Rather, July 31. Screenings at the New Hope Arts Center, 2 Stockton Avenue, New Hope, PA and New Hope-Solebury High School, 180 West Bridge Street. All information on the program guide. 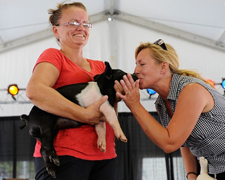 The Delaware State Fair takes place July 21-30 in Harrington with carnival games, rides, pig racing and pig kissing contests (pictured), and more including live music with Jake Owen, Alabama, X Ambassadors, George Thorogood and the Destroyers, Little Big Town with Kristian Bush, and Craft Beer Festival with Blues Traveler. Photo courtesy of the Delaware State Fair. Crabulous Crab Day is Friday, July 22 at the Wetlands Institute, 9:30am-3pm. Learn about crabs with crabbing at the dock, tips and tricks, crab cake cook-off and cooking lessons, teaching tank, photos, scavenger hunt, crab races, games and more, 1075 Stone Harbor Boulevard, Stone Harbor, NJ.Celebrate Lucy the Elephant’s 135th birthday with Lucy’s Carnival, “Lucy for President,” Saturday, July 23, 10am-8pm and carnival games, rides, activities, food, and more including a 9 hole miniature golf course and photo “voting” booth, 9200 Atlantic Avenue, Margate, NJ. Free parking and shuttle service.The Asbury Park Blues and Brews Festival takes place Saturday, July 23, noon-8pm, with six bands including Matt O’Ree, Shore Blue Band, Brian Brazil and the Hard Case Blues Band, Lee Delray Band, Incinerators, Billy Walton Band, and acoustic acts on a second stage, plus vendors, crafts, children’s activities, and a beer garden, 1300 Ocean Avenue, across from Convention Hall and the Boardwalk, Asbury Park, NJ. Rain or shine – bring lawn chairs! 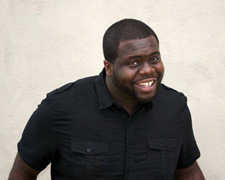 Center City Comedy brings stand-up comic Chris Cotton to his hometown of Philadelphia for several shows at the Raven Lounge. The comedian has worked with many national acts including Artie Lange, Keith Robinson, Kevin Hart and performs Monday, July 25, 8pm (happy hour/networking event starts at 7pm), with additional dates on August 8 and 22, 1718 Sansom Street, Philadelphia. 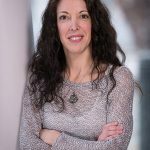 Tyler Arboretum hosts a new Wacky Water Festival, Sunday, July 24, 10am-2pm, with a chance to get wet while learning about life in the water with art projects, world stories by Greta Rech, food and more, 515 Painter Road, Media, PA. 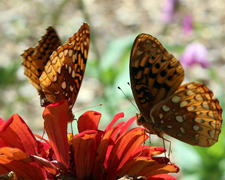 While there, visit the Butterfly House. Free with regular admission, rain or shine. Photo courtesy of Tyler Arboretum. South Jersey’s Farm Fest (Future of Artistic and Revolutionary Minds) is July 22-24. Held at Paradise Lake Campground in Hammonton, New Jersey, with a mix of jam, electronica, Americana and funk artists. 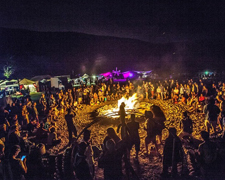 Headliners include The Floozies, Emancipator, Savoy, Boombox, Liquid Stranger, and more. Plus, workshops and live visual art. Photo courtesy of Farm Fest. 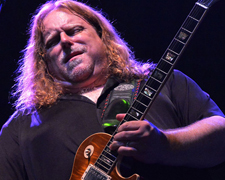 Floyd Fest offers nine stages of great music including Gregg Allman, Warren Haynes (pictured), Bruce Hornsby and the Noisemakers, Leftover Salmon, Railroad Earth, Femi Kuti and Positive Force, Anders Osborne, Greensky Bluegrass, Pimps of Joytime, Monophonics, and more, July 27-31, along with artists, vendors, workshops, children’s activities and more, Floyd, Virginia. Photo by Rick Diamond/Getty Images. New Freedom Theatre uses theater as a means for social awareness and justice with the new production Don’t Bother Me, I Can’t Cope. The rarely produced musical revue focuses on the African-American experience with a mix of gospel, jazz, funk, soul, calypso and soft rock, July 20-30. First performed in 1971 at the Ford’s Theatre in Washington D.C., the production went to Broadway and was the first to be directed by an African American woman. Directed and choreographed by Rajendra Ramoon Majaraj, who sets the show in North Philadelphia where a demolished high school is being rebuilt as a racetrack for Temple University, 1346 Broad Street, Philadelphia. Photo courtesy of New Freedom Theatre. 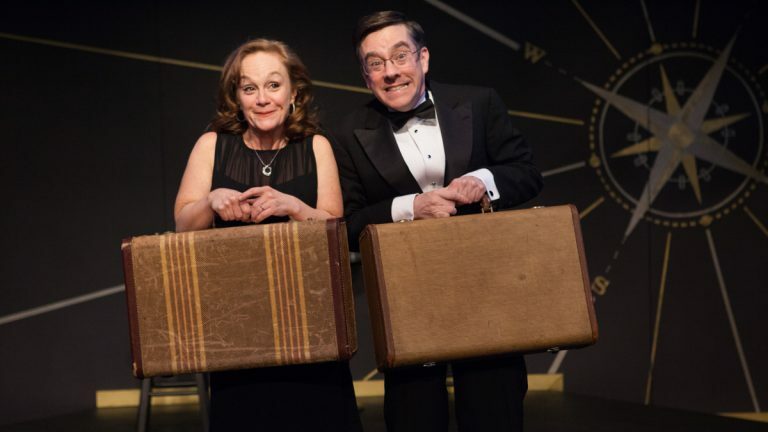 Back by popular demand, Philly’s favorite comedic couple Tony Braithwaite and Jennifer Childs team up again for On the Road Again, a hilarious show that looks at travel, vacations and that need to get away from it all, July 27 through August 7 at Act II Playhouse, 56 E. Butler Avenue, Ambler, PA. Directed by Mary Carpenter and featuring Owen Robbins on piano, the show is a co-production with 1812 Productions. Photo courtesy of Act II Playhouse. 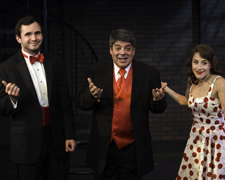 Pictured: Performers Patrick Romano, Sonny Leo, and Eileen Cella in Broadway on Butler, an evening of songs and dances from your favorite musicals, onstage through July 24. 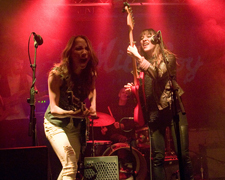 Photo by Bill D’Agostino. 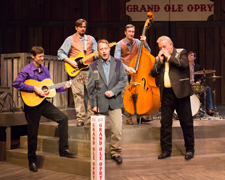 The regional premiere of Ring of Fire: The Music of Johnny Cash is onstage at People’s Light. The musical mosaic of the “Man in Black” takes you on a nostalgic track of family, humor, tragedy, sin and redemption with over 30 favorite songs including “Folsom Prison Blues,” “I Walk the Line,” and of course, “Ring of Fire.” The cast includes virtuoso David Lutken and an ensemble of actor-musicians, directed by Sherry Lutken, through August 14, 39 Conestoga Road, Malvern, PA. Related programs and events include Scoop on Wednesdays: History, Context, and Gossip and Hootenanny Thursdays. Photo by Mark Garvin.